With that wonderful flavour of fennel seeds, spices and the tinge of spiciness granted by chilli, Saunfia Mirchi tickles your taste buds! Here is how to make it. The thing about accompaniments is that one cannot just get satisfied by eating just one of them, right? With changing seasons, our choice of sides/accompaniments, whatever you name them, keeps changing and that too for good! 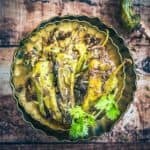 While during winter soups like Thai Pumpkin Noodle Soup, Creamy Tomato Soup keep us warm, the minute spring and summer arrives, my taste buds start yearning for coolers, pickles and spicy yet flavourful accompaniments like Saunfia Mirchi! 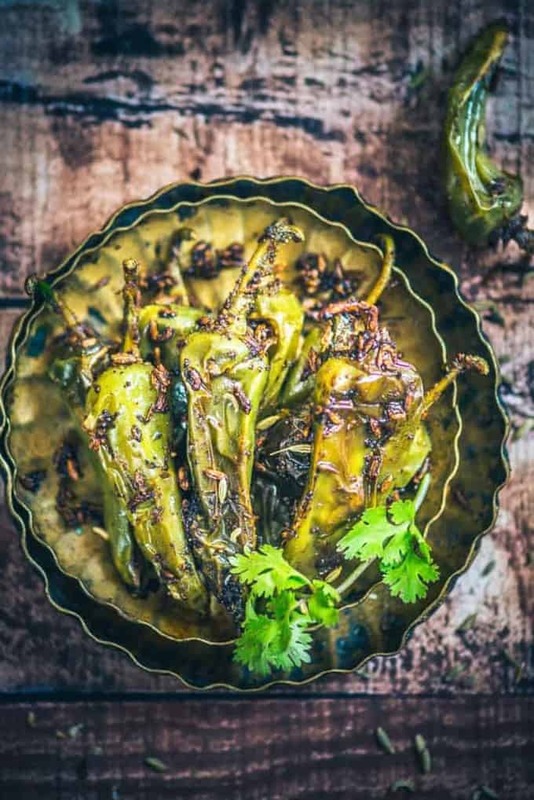 I am a huge fan of spicy food and hence when it comes to chilli, I have left no stone unturned, meaning that Besan Bhari Mirch, Hari Mirch ka Achar have been tried, tested and savoured on countless occasions. However, Saunfia Mirchi has by just won over by new affection without a doubt! 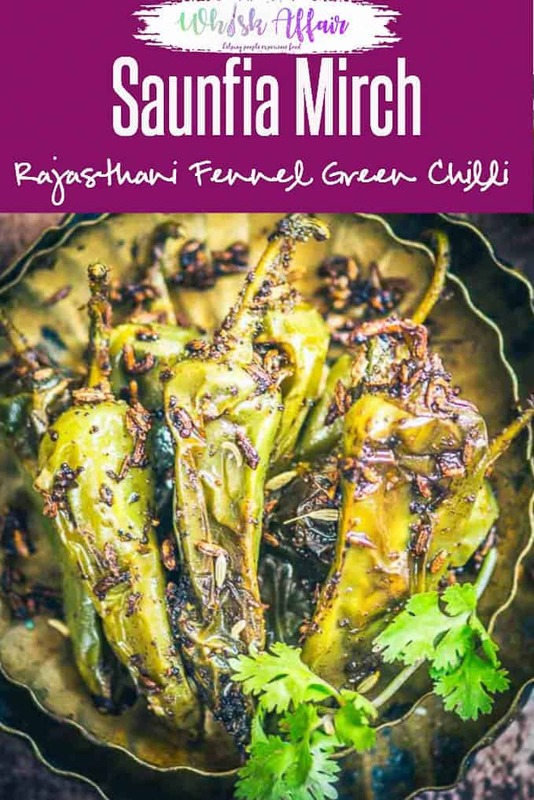 With that wonderful flavour of fennel seeds, spices and the tinge of spiciness granted by chilli, Saunfia Mirchi tickles your taste buds the minute to devour it! It can be served with parathas or you can even nibble with piping hot dal and chawal – it tastes absolutely fingerlicking! Quick to make, super easy to serve and undoubtedly difficult to resist, this dish is a must try for all the foodies out there! Not spilling more beans, because I want you to try its recipe, right away! Note it down, peeps! With that wonderful flavour of fennel seeds, spices and the tinge of spiciness granted by chilli, Saunfia Mirchi tickles your taste buds! Once the oil is hot, add hing and fennel seeds and let them crackle for a few seconds. Add green chilli and salt and cook on high heat for 5-6 minutes until chillies are blistered and softened. Add dry mango powder and mix well. Serve hot with any Indian style meal.